Rob Pemberton is The Team Leader of the Love Where You Live OH Real Estate Team. 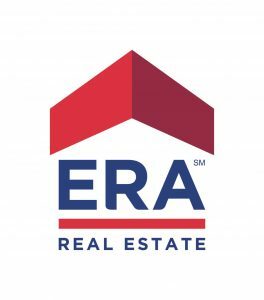 Rob was an accomplished team member of the ERA 3rd ranked team in sales and 1st in Customer Service (The Clark Realty Group) before establishing the Love Where You Live OH Real Estate Team. He is a native of Columbus, Ohio and attended The Ohio State University. Rob’s knowledge of the Central Ohio Real Estate Market uniquely prepares him to lead the team and meet the needs of Buyers and Sellers. He is a member of ERA Real Estate’s prestigious Leaders Circle. He is a member of the Columbus Board of Realtors, Ohio Association of Realtors, National Association of Realtors and has earned his ERA Seller Security Plan (SSP) certification. The Love Where You Live Real Estate Team established itself as a team of trusted real estate advisors in the communities of Westerville, Worthington, Grandview and Grove City and serve ALL of the greater Columbus area. Purposefully partnering with the elite, ERA brand and by locating our office at the south entrance into Historic Uptown Westerville, we bring the power of an International brand with a Boutique “feel” and level of service to all our clients. The Love Where You Live OH Real Estate Team is continuously building a reputation within the industry, and among our peers as dedicated, competent, consummate professionals. As the Team Leader, Rob Pemberton has “hand-picked” every team member because of their character, their personal code of ethics and their dedication to serving our clients according to our motto that “doing the right thing is always the right thing”. It is possible, in this industry, to combine Competence & Caring and this goal is at the heart of The Love Where You lIVe Real Estate Team.